How can I delete domains from my account? 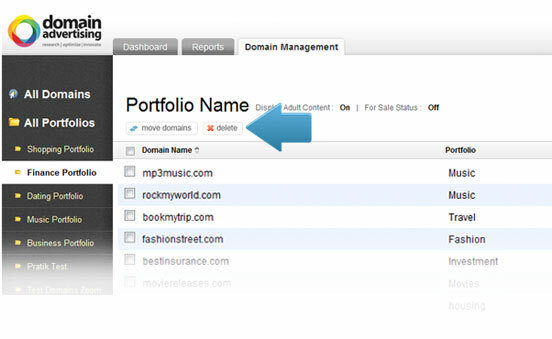 On the 'Domain Management' page, click on the 'All Domains' link or click on the portfolio link under which the domains have been added. Select the domains that you want to delete by checking the box next to the domain and click on the 'Delete Domains' button.